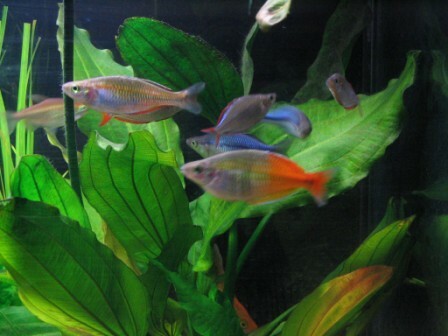 Turquoise or Lake Kutubu Rainbowfish have striking colors, with males having an intense blue color, that make for a great centerpiece in the aquarium. 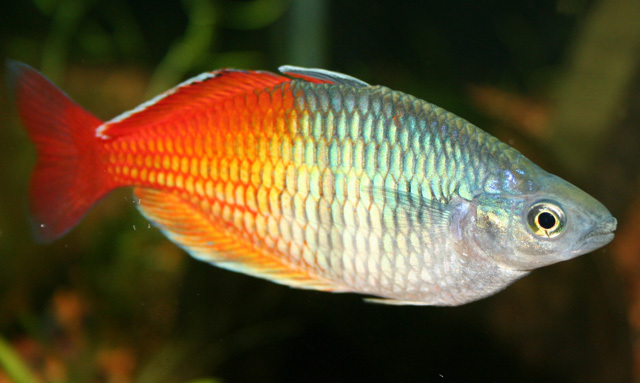 Rainbowfish are known for the characteristic large eyes, black or silver band that runs through the middle scale rows, deeply forked mouth, and two dorsal fins. This peaceful fish is a schooling fish that should be housed in a planted aquarium with plenty of swimming room. A gravel substrate will add to a good environment and, if dark enough, may intensify the colors of the fish. An egg layer, Melanotaenia lacustris spawns over moss in early morning or just after dawn in low to moderate lighting. The fry hatch after roughly eight days and should be fed small live foods such as brine shrimp. 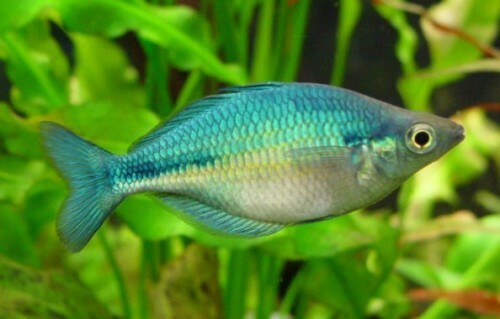 Although Turquoise Rainbows have large mouths, their throats tend to be narrow. Foods fed should be small in size. Their omnivorous diet should include prepared flake, frozen, and live foods.